Preheat the oven to 400°F. Slice off the ends and then peel both the parsnips and celeriac. Rinse off any leftover dirt. 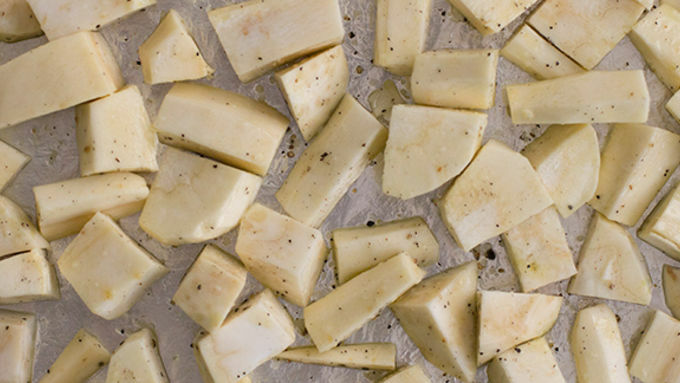 Chop the parsnips and celeriac into 1-inch pieces, then toss with a drizzle of olive oil, salt, and pepper on a foil lined baking sheet. 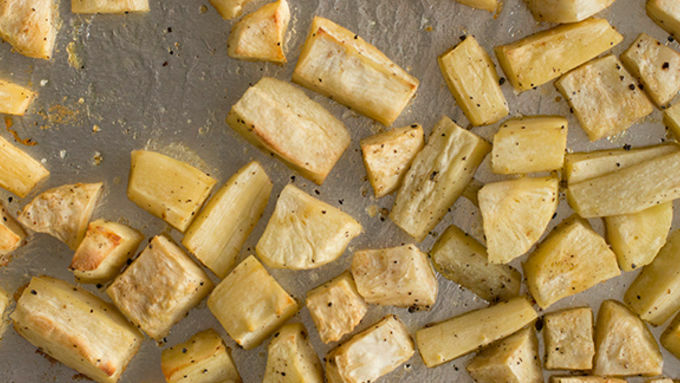 Roast for 15-minutes, toss the parsnips and celeriac, then roast for another 15-minutes. After you toss them, start to heat up the buttermilk over medium low heat. Once the vegetables are roasted, place them in a food processor or blender with 1 cup of the buttermilk. If needed add the remaining 1/2 cup until desired consistency is reached (I used the full amount). Serve with grilled steak or chicken. A new year always seems to bring along the need to eat healthier. It also brings along winter, which means cold, which means the need for comfort food. We’re combining the health with comfort food today with a mashed potato replacement. 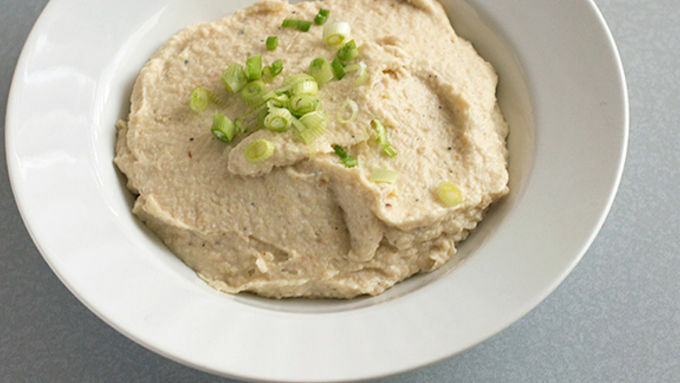 We’re going to use a roasted parsnip and celeriac (also known as celery root) puree to achieve a close second to that giant bowl of carb heaven. The flavors of the two vegetables pair nicely, and they go really with a grilled chicken breast. 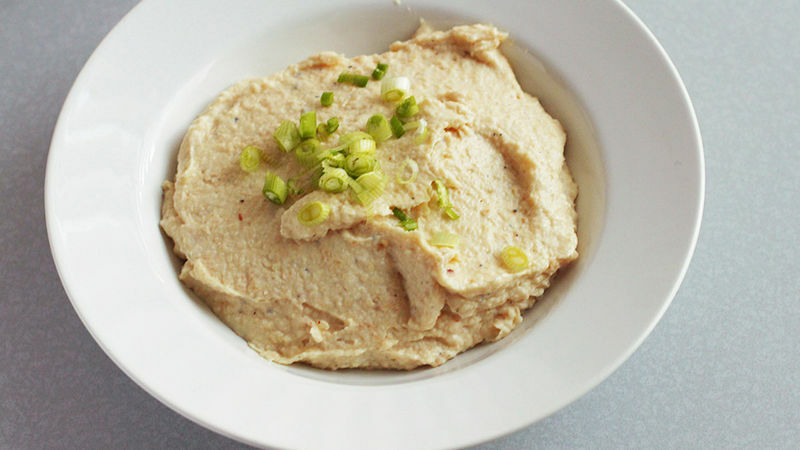 Everybody gets thrown into a food processor or blender and BOOM: Easy seasonal side dish. I like to top mine with sliced green onion.